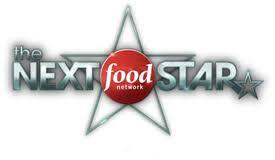 Amy from the Food Network emailed me this week to let me know that they are casting in Chicago for Food Network Star, Food Network’s hugely successful culinary reality series on Wednesday, August 3, 2011. Food Network is looking for people who are passionate about cooking (just about everyone I know) , and knowledgeable about food to meet them in person at their open casting call. Try out to host your own cooking show on Food Network. Bon Appetit and break a leg!